Making images feels like I am in wordless conversation with natural elements far more profound than anything I could create myself. My work with flowers connects me deeply with their minute particulars, the building blocks from which everything generates. There is something prayer-like about both shooting and post-processing. When the mandala-making process is at its best, I feel I’m no more the creator of these images than someone who tunes the radio is the creator of whatever comes through the speakers. The present work is inspired by the work of Georgia O’Keeffe, Andreas Feininger, and Harold Feinstein, with whom I briefly studied. 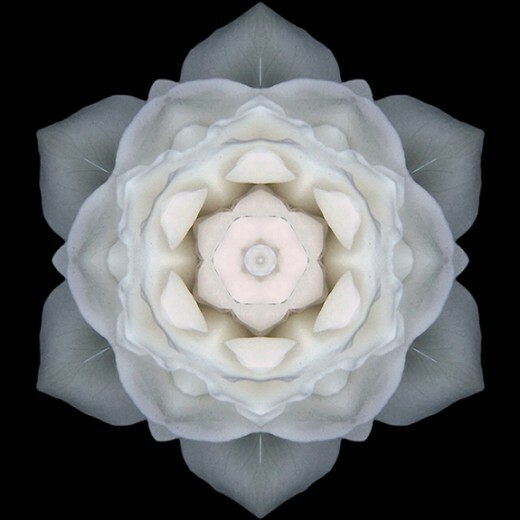 These 100 Flower Mandalas are part of an ever-expanding series of Flower Mandalas. 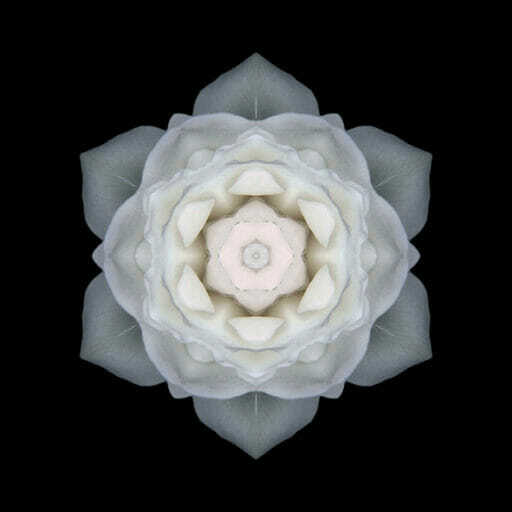 Subscribe to our newsletter and receive a free Fifteen Flower Mandalas screensaver.